Tapas has become very fashionable in the last few years, but what exactly is tapas and where does it come from? Some enlightenment came when I recently attended a tasting of Iberico Ham with Master Carver Mario Hiraldo, a leading authority on Iberico Ham in the World during a recent visit to Dublin. 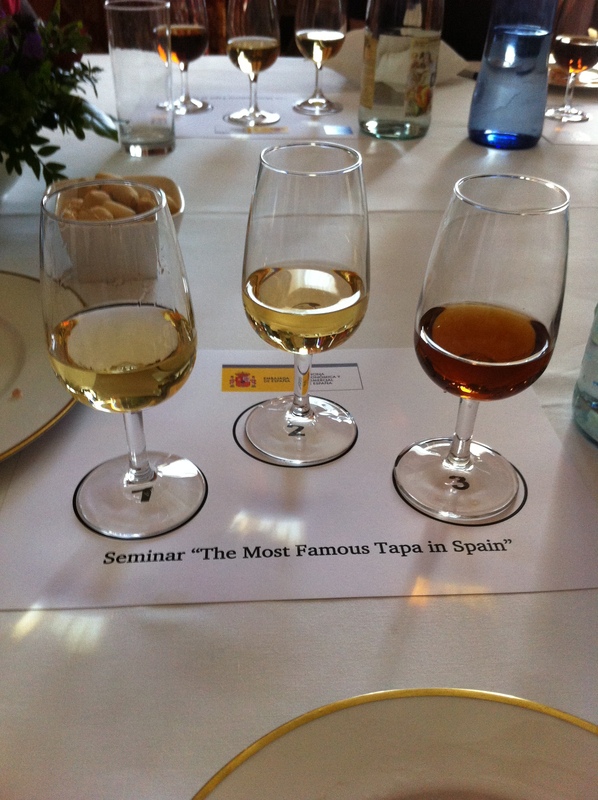 On the word of the Master himself, the word Tapa, the Spanish word for lid, specifically the lid created by slices of bread that innkeepers would thoughtfully place on top of customer’s wine glass to keep the flies and dust away. 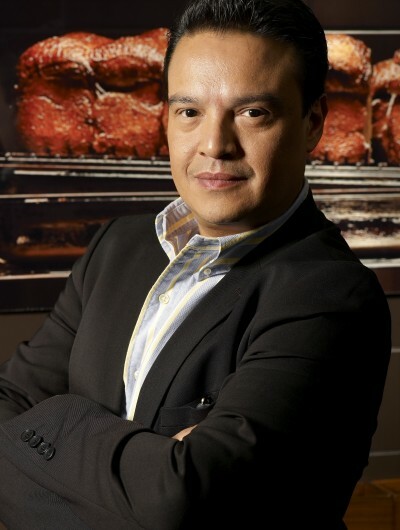 But when customers began taking bites from the bread, the Andalusians began placing a morsel of something on top, may it be slivers of Manchego cheese or Iberico Ham and hence a new Spanish institution was born and who knew that years later it would take the world by storm. Iberico ham or “jamon iberico” is not just the most revered cured meat in Spain, it also has enormous cultural significance and dates back to pig breeding in pre-Roman times as well as meat-curing and both have remained largely unchanged over the centuries. 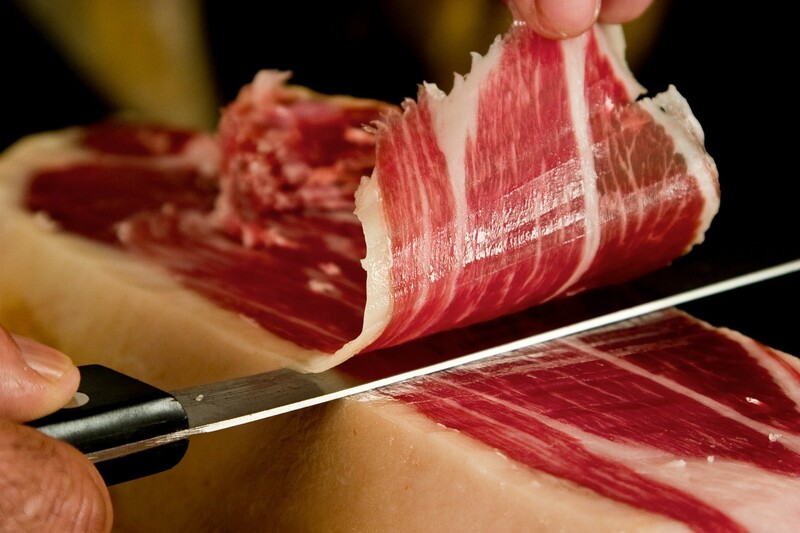 It is said that whenever the King Of Spain travels, his Chefs bring along their own Iberico Ham. Today, it has pride of place in Spanish gastronomy and is now being discovered worldwide.Produced from Black Iberian Pigs or cross bred pigs as long as they are at least 75% Iberico. These noble animals are primarily reared in Western and South Western regions of Spain. The methods used surpasses what most of us think about organic, the pigs are allowed to roam freely in nearly 1 hectare of pastures per head, to feed naturally on grass, herbs and above all acorns. This constant foraging means the pigs gets plenty of exercise and in turn this forms the fat in its muscles, giving the meat a signature succulence and buttery texture. The curing process takes an astonishing two years and unlike Prosciutto or Parma ham, Iberico ham is not covered in lard during the curing process nor any other external ingredients that would affect its inherent flavour. Hand sliced, wafer thin and eaten immediately is the best way to enjoy the incomparable flavours. Each section of the leg will provide you with its own characteristic, textures and flavours. – At 12 O’clock, The Cana – top end nearer the hoof delivered a drier yet very sweet mouthfeel. – At 5 0’clock, The Contra – slightly lower on the leg, has more fat and delivered spicier notes and buttery mouthfeel. We were encourage to lay a piece on the back of our hand for a few seconds and then taste. It was pure heaven and melted like butter on our tongue. – At 7 0’clock, The Babilla – rump end of the ham contains less fat and the meat is darker, leaner, salty but well structured. – At 9 O’clock , The Punta – was very lean with rather mushroomy flavours. 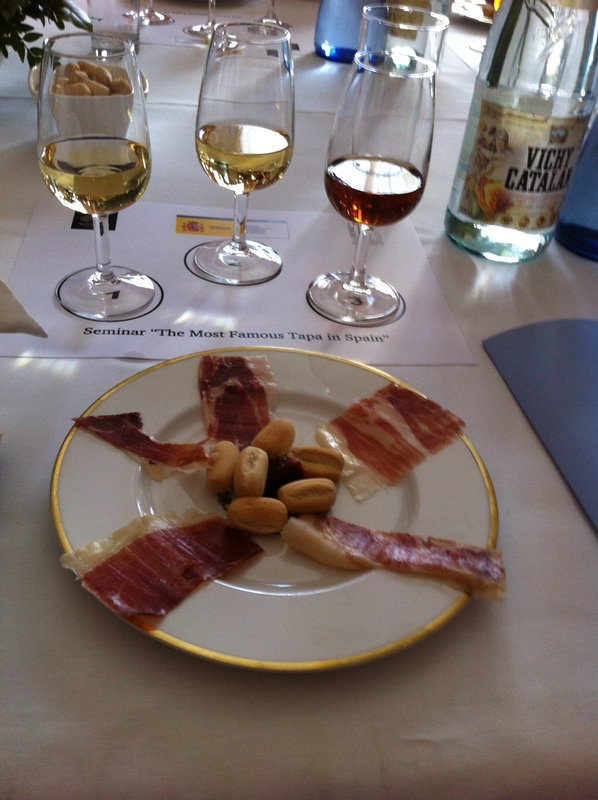 All these morsels were washed down by the finest Sherry from JEREZ. The Fino was tangy while the Manzanilla with less of a bouquet was drier but my favourite was the Lollo Rosso which was dry and sweet. With summer fast approaching, a selection of these bite size gastronomic glories served with drinks before lunch or dinner will go hand in hand with friendship and good conversation. So tuck in, forget the cares of the day and linger, Spanish style with your favourite people.